Earlier this month, the MNM announced electoral tie-up with the lesser known Republican Party of India and allotted one Lok Sabha seat and three seats in the assembly by-elections to be held on April 18. Putting all speculations to rest, Makkal Needhi Maiam (MNM) president Kamal Haasan did not figure in the second and final list of candidates for the Lok Sabha election and bypolls to the 18 assembly constituencies in Tamil Nadu. 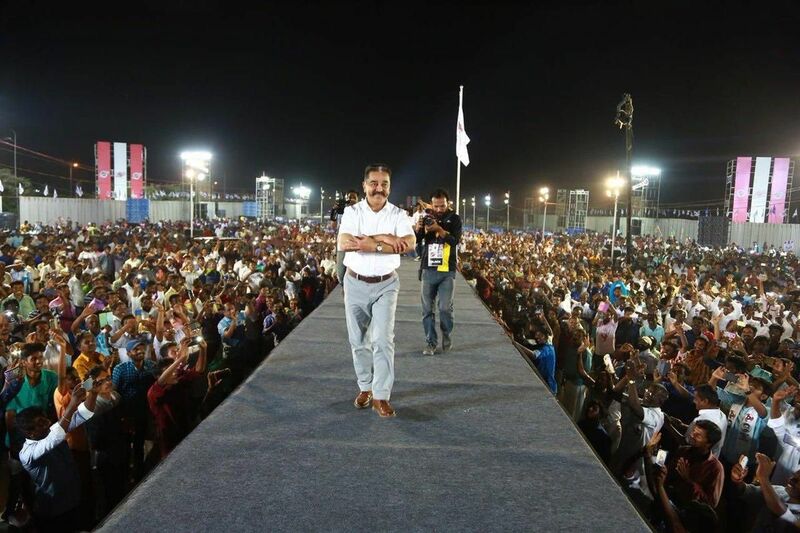 Announcing the list of candidates at massive public meeting in Chennai on Sunday night, Haasan said that name did not figure in it as there were large number of nominations in his name from almost all the constituencies. 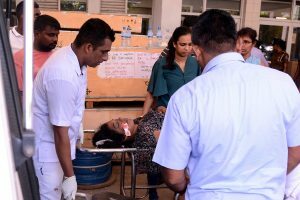 He stated that there was no cause for worry since all the candidates were his faces adding that instead of being in the palanquin, he preferred to shoulder it. Releasing MNM’s manifesto for the polls, Kamal Haasan promised to generate 50 lakh jobs, 100 per cent profit for farmers for their agricultural produce, wipe out poverty from Tamil Nadu and reform the existing Lokayukta Act and appoint a credible Lokayukta. He also assured to permanently solve the drinking water problem, ensure a slum-free Tamil Nadu and equal wages for women labourers as men in all sectors. On March 20 the party released its first list of 21 candidates for the Lok Sabha elections in Tamil Nadu and Puducherry. “All speculation about me contesting will be put to rest on the 24th. Yes, I wish to contest in the elections, but my partymen need to tell me that. I need to take their advice,” Kamal Haasan had then said. Last month Makkal Needhi Maiam (MNM) had said that they will not align with Dravidian parties in the Lok Sabha polls.